A woman is tormented by her deranged twin sister. The ultimate legacy of the 1980s 'Video Nasty' furore is that it's now given gorehounds a convenient list of films to track down, most of which are now readily available in sparkling HD transfers thanks to boutique cult labels like Arrow Video, who give us this 2K restoration of Ovidio G Assonitis's 1981 shocker Madhouse. Horror collectors get some nicely packaged discs to fill their shelves with, filmmakers who would otherwise have faded into obscurity get to appear at conventions and charge the former a fortune for their autographs, and blu-ray labels make a tidy profit. In the end, everyone's a winner - Mary Whitehouse must be spinning in her grave! At the time however, it was no laughing matter. Much like the treatment of Heavy Metal fans in the US, UK horror fans were demonised and scapegoated by a combination of church groups, desperate to deflect attention from the evils they were covering up within their own institutions, and tabloid newspapers, eager to cash in on the latest social outcry. As incredible as it seems today, when a former Nasty can be purchased on blu-ray at your local high street retailer, people actually served prison time for owning and trading such titles. Throughout history, many citizens have battled the censors in the name of defending great works of art, but anyone willing to go to jail for a movie as awful as Madhouse is a real hero. We salute you! An Italian cash-in (surely not!) on the post-Halloween slasher boom, Madhouse opens with a genuinely unsettling dream sequence in which a young girl brutally bricks in the face of her twin sister. Cut to present day where school teacher Julia (Trish Everly) is still haunted by memories of the sadistic torture meted out by her twin sister Mary (Allison Biggers). When she learns Mary is hospitalised with a disfiguring skin condition, she's understandably not too keen to pay sis a visit, but her Catholic priest uncle James (Dennis Robertson) twists her arm. The hospital visit doesn't go well, with Mary threatening to once again make her sister suffer. As is the wont of slasher movie antagonists, Mary escapes the hospital, with the help of a terrifying Rottweiler, and hides out in Julia's apartment building, planning a special surprise for Julia's birthday, mere days away. 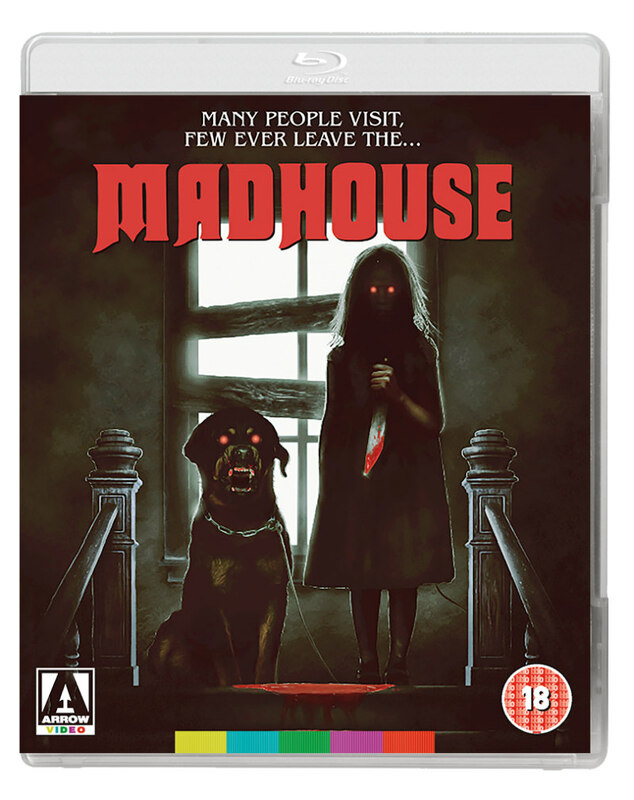 Save for some dodgy dubbing and an egalitarian approach to violence (Mary's victims include a deaf child and a kitten, while elsewhere a dog gets a power drill to the head), there's little to distinguish Madhouse as an Italian production. Absent is the customary style and apathetic narrative structure we expect from a spaghetti splatter, and the kills have the blandness of the American slashers of the era. The one creepy aspect is the presentation of Mary, whose deformed face and throaty dubbing are genuinely unsettling, and she's involved in a jump scare that will have you up-ending your shandy in your lap. Assonitis' direction is functional at best, with some nice production design and cinematography papering over his limitations, but he fails to ramp up the tension or build atmosphere. Things aren't helped by some laughably camp performances, none more so than Robertson as the creepiest priest you'll find outside the parish of Boston. While the violence towards children can't have helped, positing a priest as a villainous figure was likely the final nail in Madhouse's coffin as far as the British censors were concerned. Along with religiously fuelled hypocrisy, there was a large element of classism to the Video Nasty movement. It was fine for the middle classes to attend blood-soaked operas with body counts greater than a Rambo movie, but heaven forbid a car plant worker from Dagenham might watch a slasher movie! I suspect many in the censors' office didn't bother to watch these films in their entirety. Had they made it to the end of Madhouse, they would likely have been surprised to see the movie bow out with a George Bernard Shaw quote. Podcast outfit The Hysteria Continues provide a feature commentary. New cast and crew interviews. Trailer, alternate opening titles, reversible sleeve and booklet. 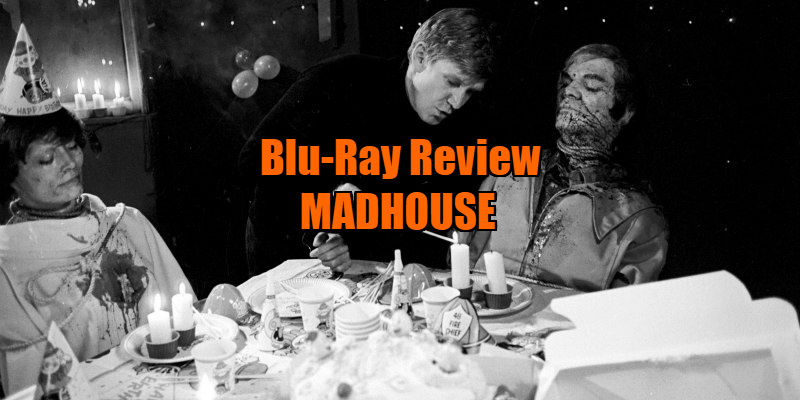 Madhouse is available on Dual Format Blu-ray & DVD from Arrow Video June 12th.